Now is the time to drive the Park Loop Road to see water cascading from mountaintops down the pink granite cliffs—Acadia’s countless seasonal waterfalls. It has been very wet here in the Acadia region and the forecast predicts more rain in the next week-plus. If the old saying holds true, we will have an abundance of flowers next month! From pit cherry (pictured above) to the beautiful magenta rhodora, bluets, starflowers, and lady’s slipper there is much to anticipate after the rains subside. For now, we hope you will put on your best rain jacket and hit the trails or carriage roads, enjoying the smell of the earth as it awakens from a long winter. If the forecast holds, the rain will pause this weekend, just in time for one of our favorite volunteer events of the year! 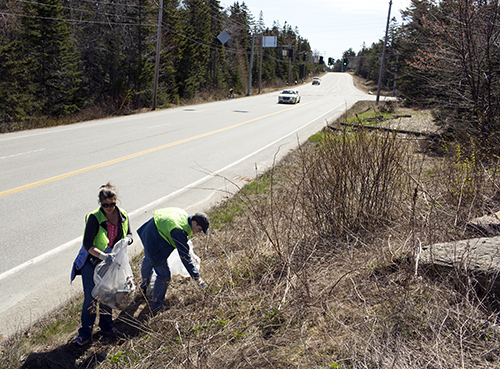 This Saturday, join friends, family, neighbors, and coworkers for the 18th annual Friends of Acadia Earth Day Roadside Cleanup, to collect a winter’s worth of trash from roadsides on MDI and Trenton. Online registration is closed; please contact Paige at 207-288-3340 if you would like to volunteer. Already signed up? Share photos and videos of your team on social media using the hashtag #ImAFriendofAcadia. Speaking of getting outside this weekend, the carriage roads in Acadia National Park have reopened to pedestrians and bicyclists for the season. Equestrian use is still prohibited due to the soft condition of the road surface. Thank you for your help in protecting this historic resource! 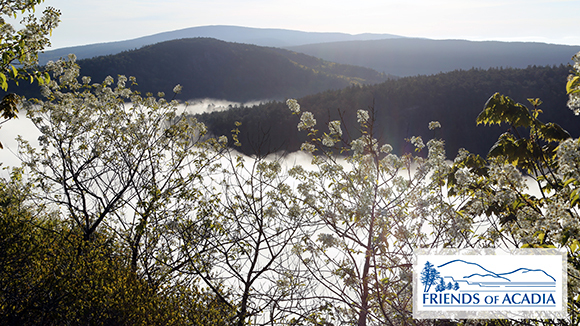 Join us, Wednesday, May 17 for a special luncheon benefit at the Jordan Pond House. In addition to being a fundraiser for FOA, this invitation-only event is the soft opening of the Jordan Pond House for the season. The cost is only $5 (a donation to Friends of Acadia) plus a tip for your server. Alcohol is not included.Reservations are required as seating is very limited. Two seatings are available, with arrival at 11:00–11:30 or 12:30–1:00. To RSVP, please email lunch@friendsofacadia.org or call 207-288-3340. Friends of Acadia has almost 5,000 members from all over the world. 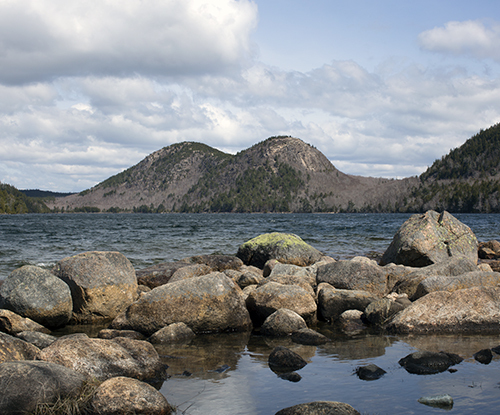 We rely on tax-deductible gifts from our members to fund important ongoing projects and new initiatives to preserve and protect Acadia National Park and the communities that surround it on Mount Desert Island. Your donations make a huge difference for Acadia. Membership at every level supports FOA at a time when it is needed perhaps more than ever. Enjoy the sights of Ocean Path in this video from Membership Campaign Chair and FOA Board Member Cookie Horner. The spring 2017 Friends of Acadia Journal is now available to be read online! 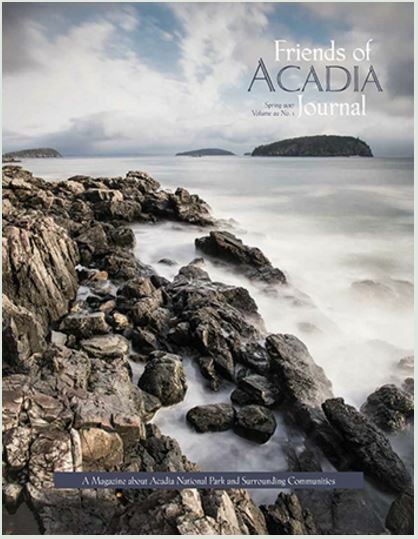 Featuring articles on Wild Acadia, transportation woes and solution throughout the National Park Service, the “new Schoodic,” and more, with a cover photograph of the Porcupine Islands from Compass Harbor by Tom Blagden. The entire issue can be downloaded in PDF format, and we’ll roll out individual articles over the coming month. Header Photo:A pit cherry in bloom on Beech Mountain. Friends of Acadia/Aimee Beal Church.